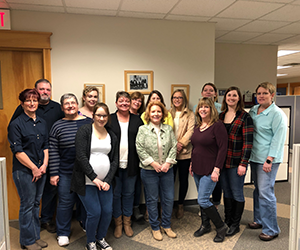 In the Community | Perry & Carroll, Inc.
As members of the business community, we dedicate our volunteer efforts to making the region a better place to live and work, which improves everyone’s quality of life. Our employees donate countless hours volunteering for local nonprofits and participating on many committees and boards across multiple counties. 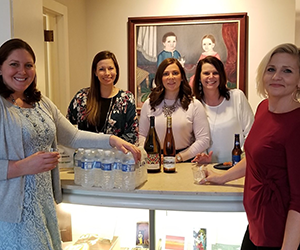 Perry & Carroll proudly supports many charitable causes, organizations and events throughout Bradford (PA), Chemung, Schuyler, Steuben and Tompkins counties. We also take pride in helping to educate our communities through free seminars discussing insurance topics that would be beneficial for both individuals and businesses. 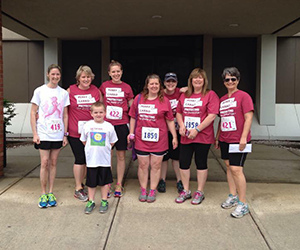 The Perry & Carroll team ready to race in the Susan G. Komen Race for the Cure! Bethany Bowes (second on left) volunteers on the Taste of Downtown committee. 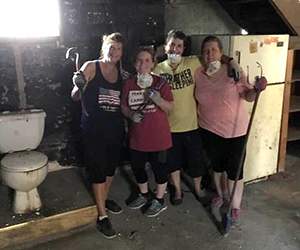 Part of the Personal Lines team participating in Habitat for Humanity’s Women Build 2018. 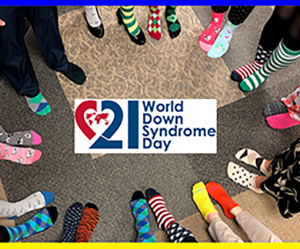 Employees rockin’ their mismatched socks in support of World Down Syndrome Day. 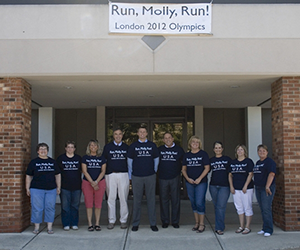 Employees showing their support for Molly Huddle during the 2012 Olympics! Jeans for Generosity: Employees can wear jeans by donating to a cause. This one was in support of Habitat for Humanity’s Women Build 2019. 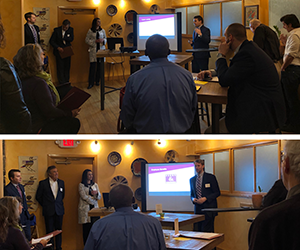 Perry & Carroll presented at the Tompkins Chamber of Commerce Networking at Noon event in February 2019.